(CNN) The Republican leaders of two House committees say their investigation into the FBI’s handling of Hillary Clinton’s email server and its probe of alleged coordination between the Trump campaign and Russia uncovered concerns about the “thoroughness and impartiality” of each investigation. Notably, the Republican lawmakers also argued that their investigation was not an attempt to undercut special counsel Robert Mueller — a charge leveled by Democrats throughout the Republican-led investigation. “Quite the opposite, whatever product is produced by the special counsel must be trusted by Americans and that requires asking tough but fair questions about investigative techniques both employed and not employed,” Goodlatte and Gowdy wrote. The letter, which was addressed to acting Attorney General Matt Whitaker, DOJ Inspector General Michael Horowitz and Senate Majority Leader Mitch McConnell, marks the conclusion of the yearlong Republican investigation. The Republican leaders haven’t indicated they’ll put out any kind of supplemental report on their findings, although they do plan to release transcripts of the 19 interviews that were conducted, including with former FBI Director James Comey, former Attorney General Loretta Lynch, former Deputy FBI Director Andrew McCabe and a pair of FBI officials, Peter Strzok and Lisa Page, who were faulted for exchanging anti-Trump text messages. 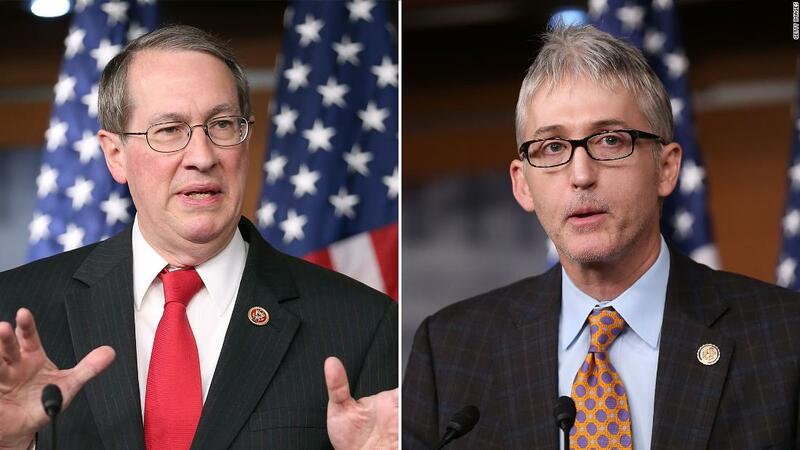 The concerns outlined by Goodlatte and Gowdy, who are both retiring from Congress, reiterate many prior criticisms included in Horowitz’s report on the Clinton probe, including Comey’s handling of the decision not to prosecute Clinton and charges of political bias against Strzok and Page. They argued that Strzok wasn’t removed quickly enough after he had a senior role on the Clinton and Russia investigations and the early stages of the Mueller probe. The Democrats taking over the two committees have said they have no plans to continue the investigation into the FBI, criticizing the probe as a fishing expedition muddying the waters on behalf of the President. “Our Republican colleagues seem intent on spending their final days in power attempting to provide cover to President Trump and attempting to re-litigate the Department of Justice’s decision not to prosecute Secretary Clinton,” said Reps. Jerry Nadler and Elijah Cummings in a statement earlier this month after Comey’s testimony. Goodlatte and Gowdy expressed hope in their letter that the Senate, where Republicans retain the majority, will continue the investigation. Incoming Senate Judiciary Chairman Lindsey Graham has expressed openness to probing the matter further. The outgoing lawmakers also reiterated their call made earlier this year for a second special counsel to investigate conduct at DOJ and FBI. They expressed frustration that the Justice Department had been unwilling to hand over many of the documents they were seeking, a dispute that prompted some conservative members of the two committees to call for Deputy Attorney General Rod Rosenstein’s impeachment. The bad blood has spilled over to the lawmakers’ request for the Justice Department and FBI to review the transcripts of their interviews before they are released publicly. They sent a separate letter Friday to Whitaker and FBI Director Chris Wray over delays in receiving redactions from the Justice Department.